Update 5 April 2015: That's it for today! This live blog is now closed. Keep up to date with all the news from CERN on our website, home.web.cern.ch. A recording of today's webcast can be found here. See you for first physics collisions in May! The radiofrequency specialists are now working at point 4 of the LHC. They are preparing to ‘capture’ the beam; only a ‘captured’ beam can be accelerated. This morning beams have been circulating under their injection energy. Geneva, 5 April 2015. After two years of intense maintenance and consolidation, and several months of preparation for restart, the Large Hadron Collider, the most powerful particle accelerator in the world, is back in operation. Today at 10.41am, a proton beam was back in the 27-kilometre ring, followed at 12.27pm by a second beam rotating in the opposite direction. These beams circulated at their injection energy of 450 GeV. Over the coming days, operators will check all systems before increasing energy of the beams. The technical stop of the LHC was a Herculean task. Some 10,000 electrical interconnections between the magnets were consolidated. Magnet protection systems were added, while cryogenic, vacuum and electronics were improved and strengthened. Furthermore, the beams will be set up in such a way that they will produce more collisions by bunching protons closer together, with the time separating bunches being reduced from 50 nanoseconds to 25 nanoseconds. The LHC is entering its second season of operation. Thanks to the work done in the last two years, it will operate at unprecedented energy - almost double that of season 1 - at 6.5 TeV per beam. 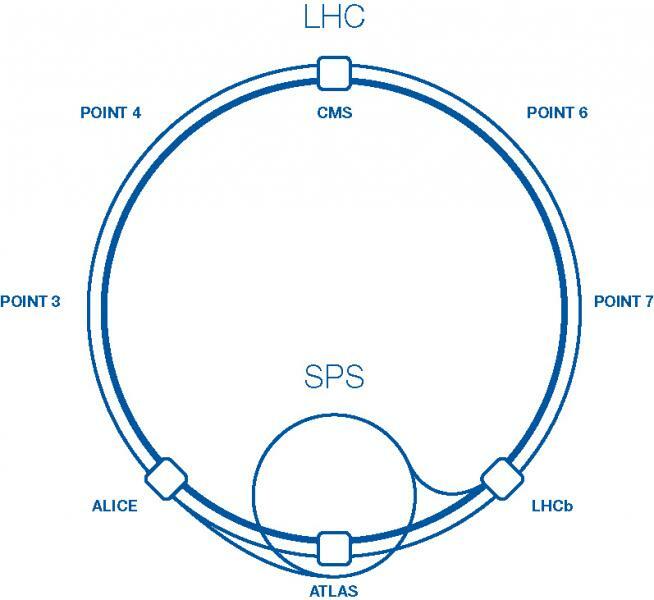 With 13 TeV proton-proton collisions expected before summer, the LHC experiments will soon be exploring uncharted territory. 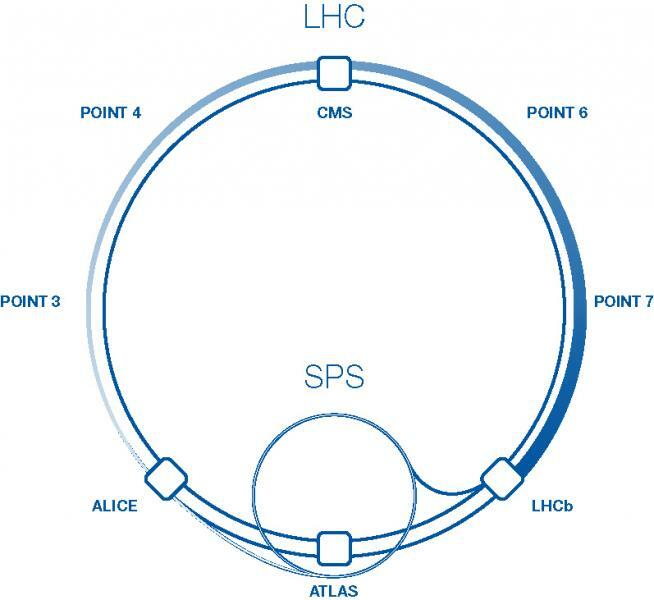 The Brout-Englert-Higgs mechanism, dark matter, antimatter and quark-gluon plasma are all on the menu for LHC season 2. After the discovery of the Higgs boson in 2012 by the ATLAS and CMS collaborations, physicists will be putting the Standard Model of particle physics to its most stringent test yet, searching for new physics beyond this well-established theory describing particles and their interactions. Follow the webcast 3.30pm CEST. 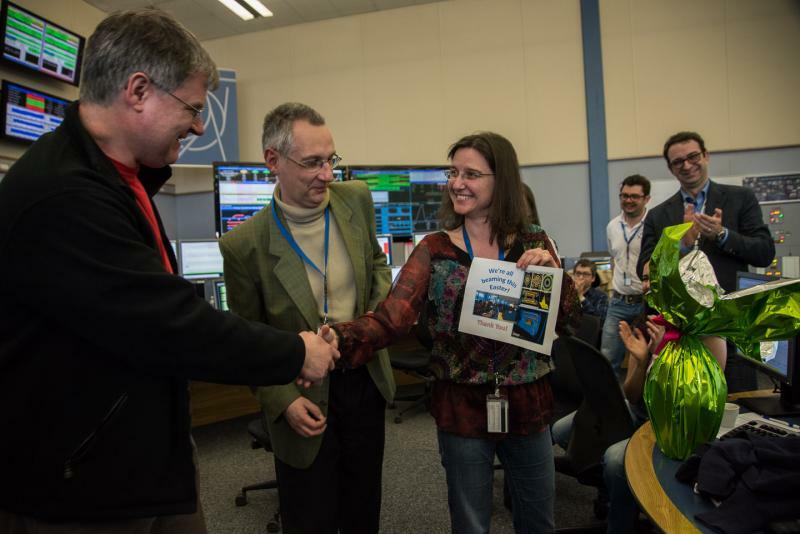 Dave Charlton (left), spokesperson for the ATLAS collaboration, delivers an Easter egg to the LHC operators on shift Georges-Henry Hemelsoet and Laurette Ponce. 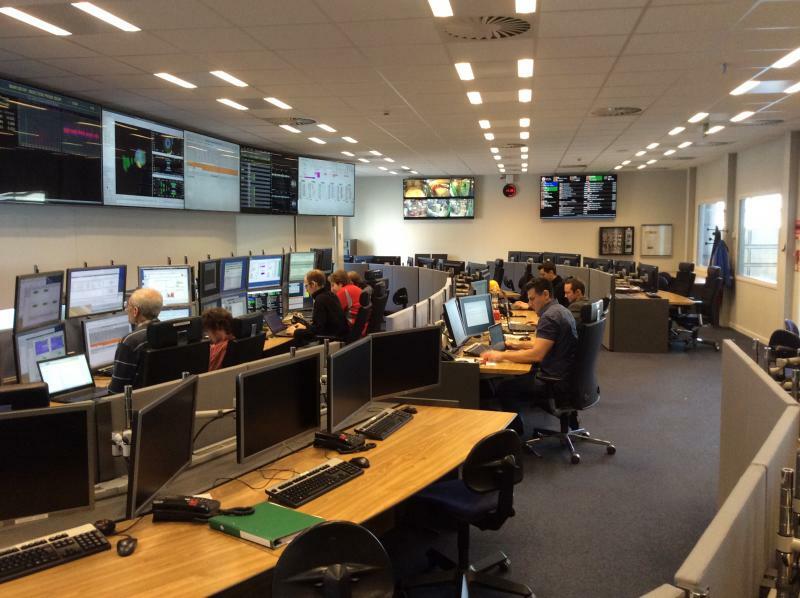 The LHC is operated by a large team of professional technicians and engineers working in shifts. In this video, some of these LHC operators discuss a typical day in the CERN Control Centre. 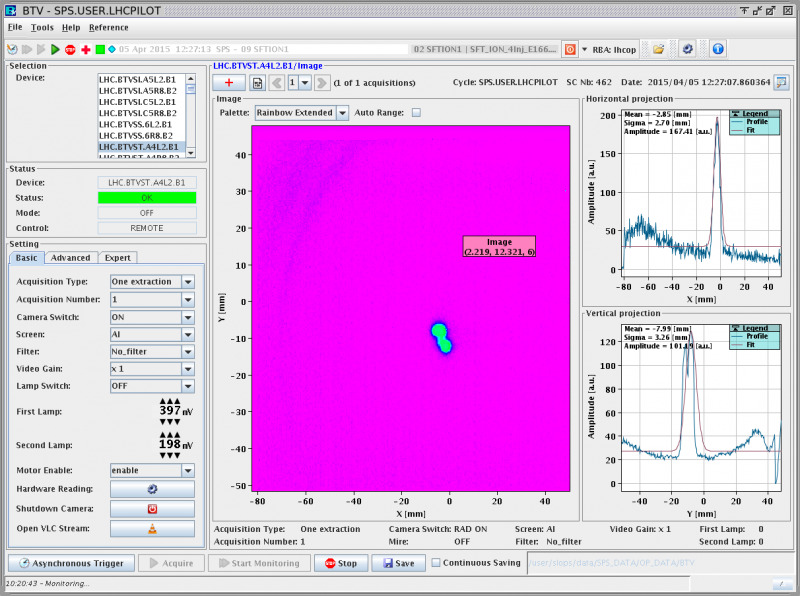 Beam splash seen by the ATLAS detector. More information on this image here. Please note the change of time for this afternoon's webcast, which will be at 3.30pm CET on http://webcast.cern.ch (and via this blog). The change of time is due to the smooth restart which went even faster than we had anticipated. Yesterday the Superconducting Magnets And Circuits Consolidation (SMACC) team celebrated a milestone: The superconducting electromagnets in final sector of the LHC reached their nominal current, ready for the LHC to run beams at 13 TeV. At LHC beam energies, the electric currents are extremely high, up to 12,000 Amperes, and superconducting cables have to be used. Superconductivity is a low-temperature phenomenon, so the coils have to be kept very cold, just 1.9 degrees above absolute zero to be precise, or about -271°C. Even a tiny amount of energy released into the magnet for any reason can warm the coils up, stopping them from superconducting. When this happens, the current has to be safely extracted in a very short time. This is called a quench, and just one millijoule – the energy deposited by a 1-centime euro coin falling from 5 cm – is enough to provoke one. Magnet protection in case of quenches is a crucial part of the design of the LHC’s magnetic system. When a new superconducting magnet is qualified for use, it needs to be trained. That involves steadily increasing the current until the magnet quenches, then starting again. At first, the quenches may occur at relatively low current, but over time, as the components of the magnet settle in, the current increases until the magnet can be operated routinely at its nominal current. 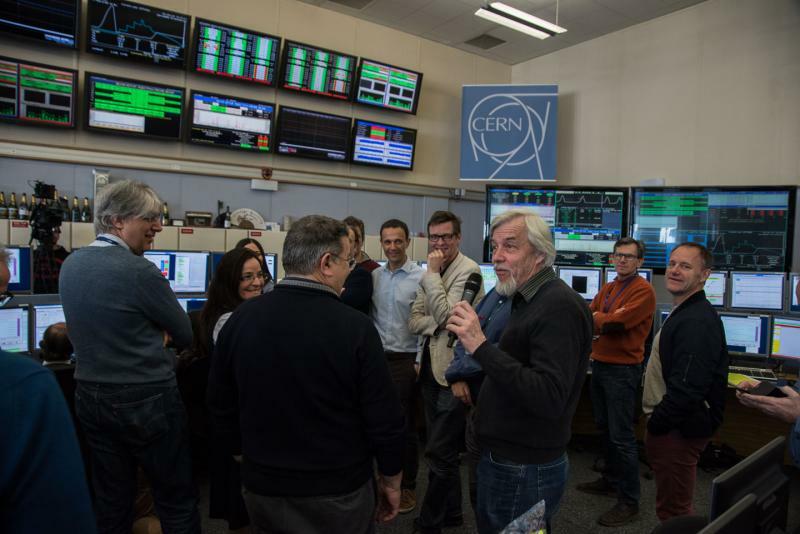 Send your questions via Twitter to @CERN using the hashtag #RestartLHC. We'll answer during today’s webcast at 3.30pm CET, which will be available via this blog. Congratulations. Thank you very much everyone… now the hard work starts! Beam 1 is now at point 8. Just two more sectors to go to complete the circuit of the accelerator. Footage from the CERN Control Centre this morning as LHC operators and CERN management prepare Beam 2 for injection into the LHC. Beam 1 (clockwise) has now passed point 7: there are now just 3 sectors left for beam 1 to complete the circle. 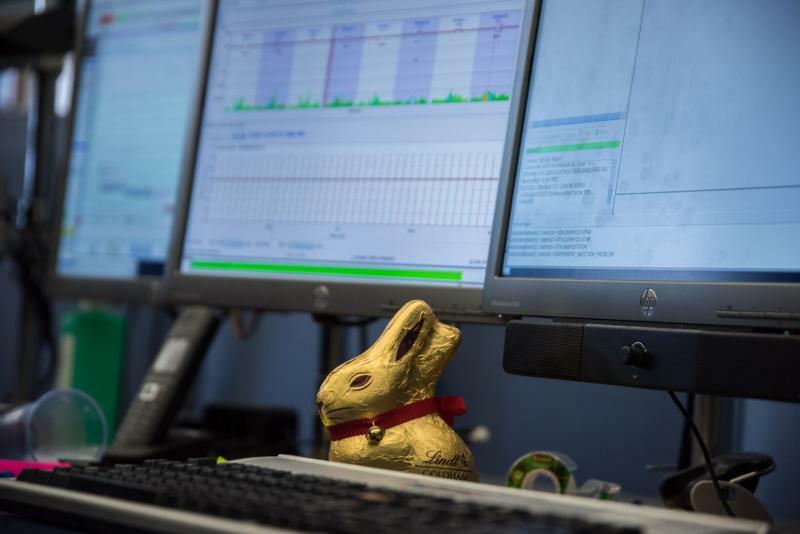 The team in the ALICE control room monitors the detector as beams pass through.